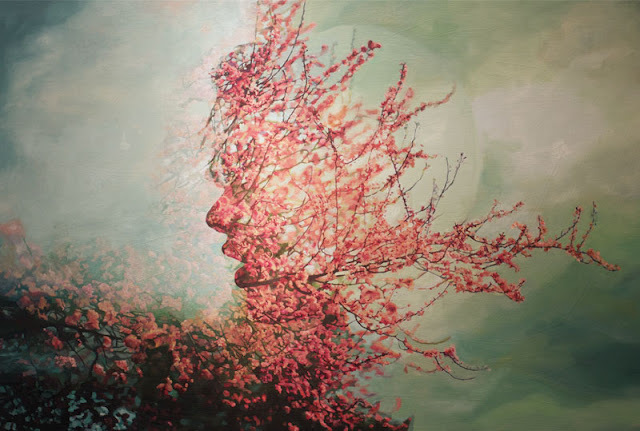 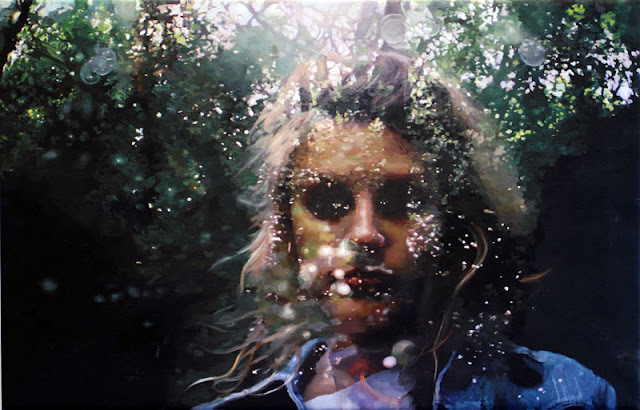 Pakayla Biehn, the San Francisco-based artist collaborates with several photographers, to produce a painting series upon the double exposure theme. Pakayla uses oil paint on canvas to present dream-like transfiguration of the natural world. The skill and refined beauty of her paintings enlists a realist style that recalls the delicacy, formality, and craftsmanship of old master techniques. 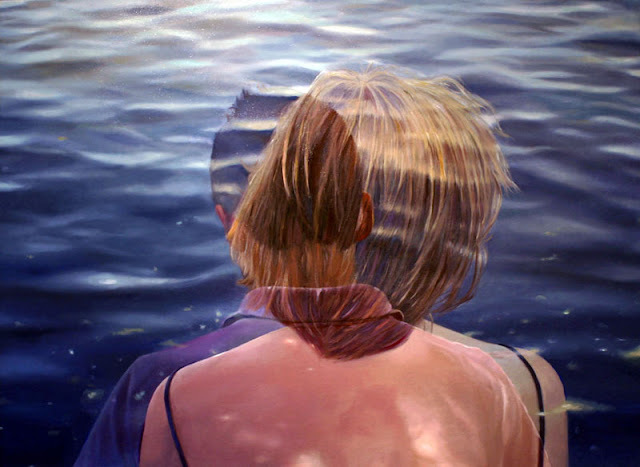 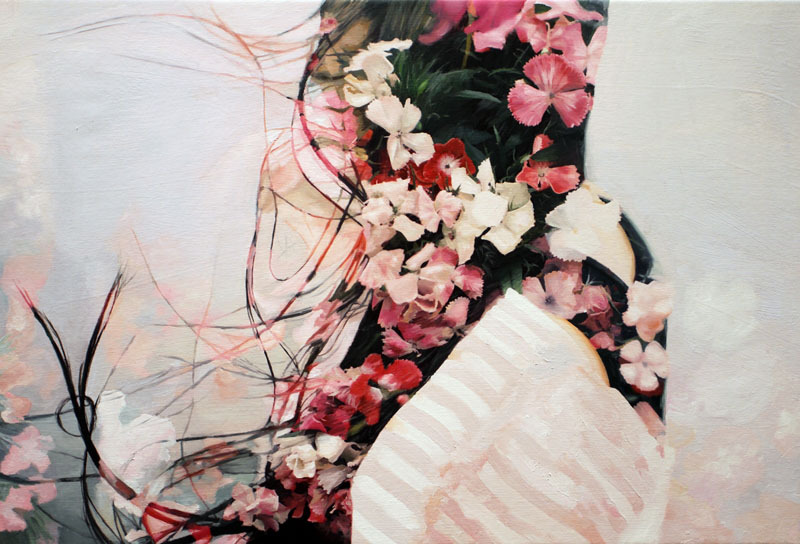 She combines the cultivation of the portrait with a very intimate and vibrant observation of nature.